Upcoming TV in April includes: Better TV, Country Vibe, Inside Music Row, Larry's Country Diner. LONESOME WHISTLE is the culmination of a lifelong dream for The Roys. The 11-song disc includes 10 Roy originals, and was co-produced by the duo and Andy Leftwich. Lee and Elaine join top-tier musicians Mark Fain (Bass); Justin Moses (Banjo); Randy Kohrs (Dobro); Cody Kilby (Acoustic Guitar), Andy Leftwich (Fiddle, Mandolin) and Steve Brewster (Percussion), and the result is a musically "tight" CD with a "live" feel. The disc's first single, "Coal Minin' Man," is a rollicking, mid-tempo ode to the hardworking souls who labor below the earth. The track debuted last month on the Bluegrass Music Profiles Chart (#17), and debuts this month on Power Source (#26), the Roots Music Bluegrass Report (#43), and more. The video, which was filmed in Hazard, KY at the Teco Coal Company, rolls out very soon. LONESOME WHISTLE will be available tomorrow at retail outlets, including Barnes & Noble, Best Buy and f.y.e. entertainment, and online at Amazon.com, iTunes, eMusic and more. The disc is The Roys' first release for Rural Rhythm Records and they join a roster that includes Michael Martin Murphey, Randy Kohrs, Russell Moore & IIIrd Tyme Out, Mason Douglas and Lonesome River Band among others. Upcoming press coverage includes Bluegrass Music Profiles, Bluegrass Unlimited Bluegrass Journal, The Bluegrass Blog, TheBluegrassSpecial.com, Cybergrass, Prescription Bluegrass, Ted's Bluegrass Blog, Country Weekly, Country Music Profiles, Country Music People, Country Music News, Music Row, Maverick, Strum Magazine, THIS is Country Music, Arkansas Democrat, Boston Herald, Boston Post Gazette, Direct Buzz, Songwriter's Monthly, Power Source, Slick Rock Entertainment Magazine, Troy Daily News, Worcester Telegram, Amazon, Digital Rodeo, Examiner.com, Music News Nashville, ParcBench.com, NoDepression, Roughstock, Singing News, Roots Music Report, Rambles, Stacy's Music Row Report, StageShottz, Today's Country and YallWire. 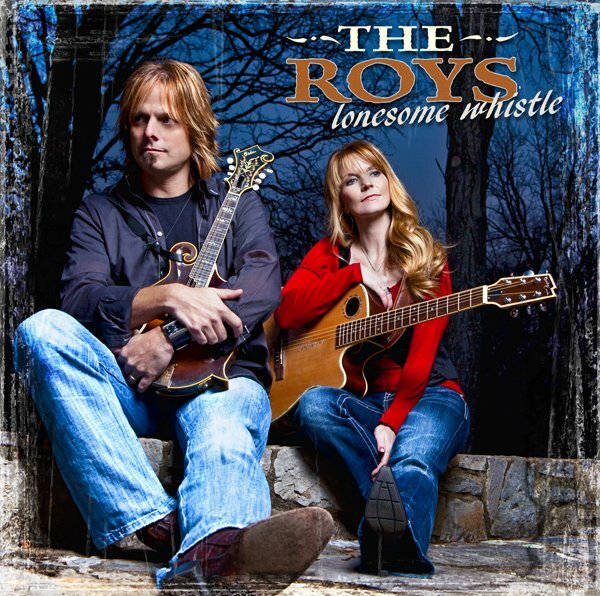 Listen to select tracks from LONESOME WHISTLE and learn more about The Roys at theroysonline.com.